That’s exactly what they’ve done for 2009 / 2010 with a multi-boot selection headed by the Zhero Gravity Tre. This very lightweight boot has been designed for speed and in particular, those super fast players who count on sprints and sudden changes of direction to win. This model includes Lotto’s Pro-fit technology in the upper which guarantees a perfect fit and maximum comfort. The absence of laces extends the contact surface of the upper, guaranteeing full contact with the ball and relative control with no interference for maximum kicking precision. Moreover, the outer counter in Pebax ensures the proper support and protection of the heel. The upper is in microfibre: a water-repellent, breathable, abrasion resistant material that works in all weather conditions and temperatures. 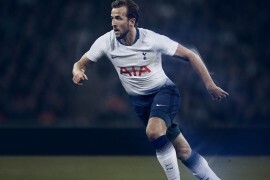 And to meet the demands of individual players, the Zhero Gravity Tre offers a double set of removable insoles – the Dual Fit System – to adapt the fit to the different types of feet. The ultimate element that makes Zhero Gravity Tre a high quality product is the sole with its Pebax insert and Neo Switch technology, made of Lotto-exclusive fixed and interchangeable studs that can be changed according to the ground conditions, SG or FG. The technical picture is rounded out by Puntoflex, a special feature positioned across the outsole aligning to the metatarsal zone, allowing correct flexing of the forefoot. This model is available in White / Black / Red' and includes a special minibag with a kit containing a set of removable insoles, a set of changeable studs and a special key for fixing them that doubles as a shoehorn. I love my zhero gravity’s, and these new ones seem to be just as, if not better than the old ones. They fit well, are very light but, surprisingly to me, it doesn’t actually hurt that much when you are studded. I was expecting a vapor feel where even kicking the ball relatively hard hurts your foot, but i seriously felt pretty well protected from this boot, even though it is uber light. If I wear Puma v1.08 size 11… What size should I get for these cleats? I’m planning on buying these but I don’t know what size. The last time I wore a Lotto pair was like 5 years ago… 😀 So if you could help me, I’d really appreciate it. Nice feedback Aussie Lad. I always listen to your comments. May even give these a go. Wouldn’t the absence of laces make the boot loose and slip off? I may sound naive, but I’ve never really paid attention to these brand of lottos before. @Ryan Nah the boot slipping problem is addressed through the dual insole system. There is one thin insole and one chunkier one so that the boot is as snug as possible. @Jed Thanks Jed, yeah these boots are definitely a quality buy. Hi Joaquin – the Twist’ngo is available in the Leggenda, Evolution and Diablo but not this model. I see that the article has been updated to reflect this. these boots look incredible. i liked the previous versions too. but i can’t see my way to spending that much money on a pair of boots. A really good looking boot. A friend had the diablos but I didn’t pay much attention. Definately interested in these. That’s a lot of money tough. Looks like I have to save befor I can give them a try.. These look really good. Is it just me or is the only update from the Zhero Gravity Due the colourway? These are nice but if the colourway is the only difference I think the Dues have a nicer colourway. Is a new Gravity in project for the world cup 2010,or a new model maybe??? 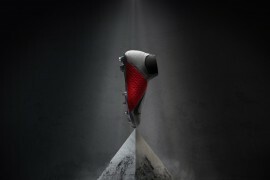 I heard that Lotto will quit to produce this Soccerboot,is that right?Does anyone know something about a new Gravity? 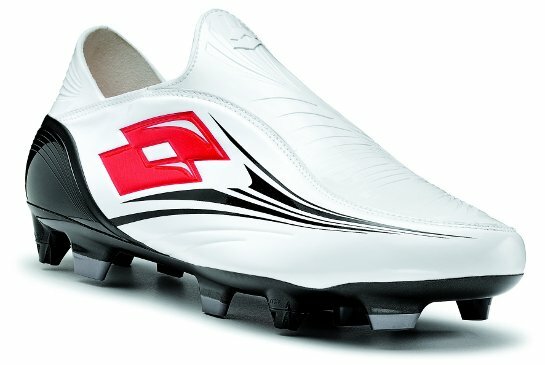 What players wear the zhero gravity boots? Are they all strikers or attacking players? How durable are they? These must be one of the most comfortable out there. I tried a pair on and they were good. Just would not fork out 120 for the 1st ones. I will only buy leather boots now. 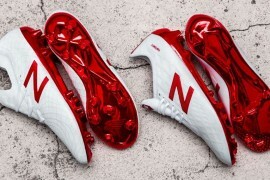 Are these different from the old white/red ones? I’ve been wanting to buy a pair of zheros but not really sure if they will fit me. Can any one tell me the actual measures of the shoe? For instance, if you wear a size 8 how big/long is the actual shoe in inches? Reason my asking is I have no way of trying this shoes before I buy them, any info will help. menudos inveciles los ingleses jajaj!tio de que coĂĆ’Ă‚Â±o ablais tontoos de la polla? Greetings. Mind helping me with this? I’ve just read this awesome review on the LOTTO ZHERO GRAVITY TRE and the dude quoted: “IĂÂ˘Ă˘â€šÂ¬Ă˘â€žÂ˘d recommend finding these boots on sale if you plan to purchase them anytime soon.” Well i’ve found one but it’s called LOTTO ZHERO GRAVITY 2T. 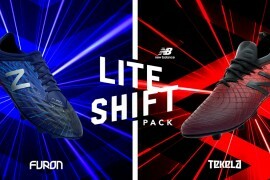 Judging from the photos, it’s got everthig the TRE has; the laceless design, the tribal-ish markings on the ‘sweet spot’, the interchangeable-stud-configuration and etc. The only difference is that it’s in a different colour. Is the 2T the prodecessor of the TRE, or is it like the Talaria to Vapors?